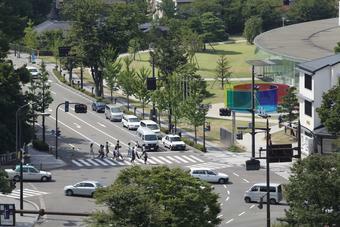 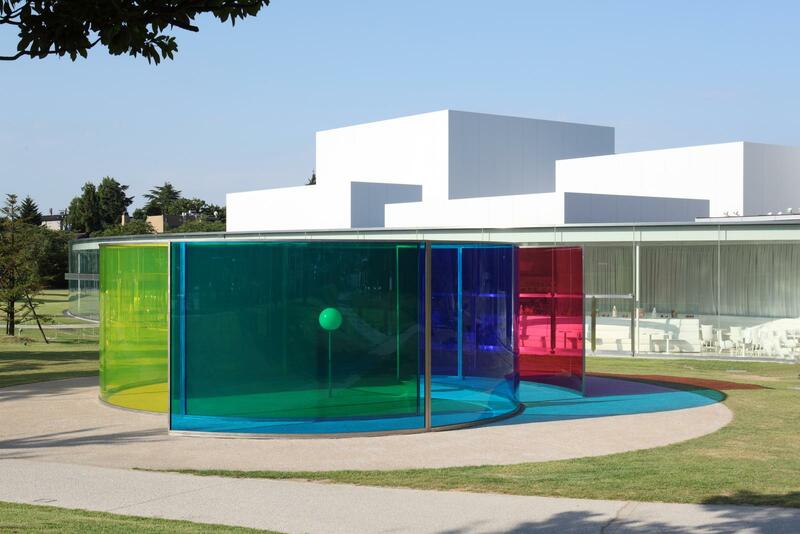 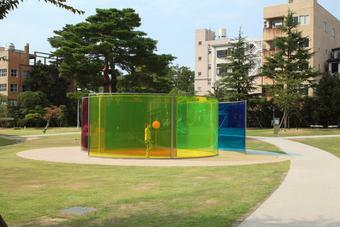 Situated outside the main entrance of the 21st Century Museum of Contemporary Art, Kanazawa, Colour activity house mediates between the SANAA-designed museum, the surrounding park, and the city beyond. Measuring ten metres in diameter, the work consists of three free-standing, curved glass walls organised vortex-like around an open space with a sphere at its centre. The three walls present the three primary hues of the subtractive colour model – cyan, magenta, and yellow – and secondary and tertiary shades arise where the walls overlap. 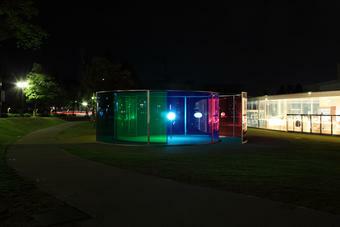 Moving through the pavilion, visitors traverse the constantly changing colour fields; the monochromatic hues subtly transform their view of the city and the surroundings outside the pavilion. 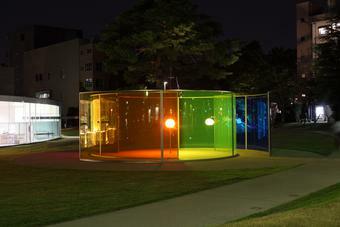 Supported on a slender pole, the sphere at the centre glows white from dusk till dawn; the glass walls multiply and amplify the bright sphere, turning the artwork into a vibrant lighthouse for the city’s inhabitants.